Samsung always makes a big deal of its phone cameras, and so we'd be surprised if it wasn't held up as a reason to buy the Note 9, which is set to be officially announced at Samsung Unpacked at 4pm BST (11am EDT). today. Here's how you can watch the live stream. Now official Note 9 marketing material has been obtained by Winfuture.de and two of the slides are touting the capabilities of the handset's upgraded camera. Other slides in the pack talk up the new functionality of the Bluetooth-enabled S Pen. 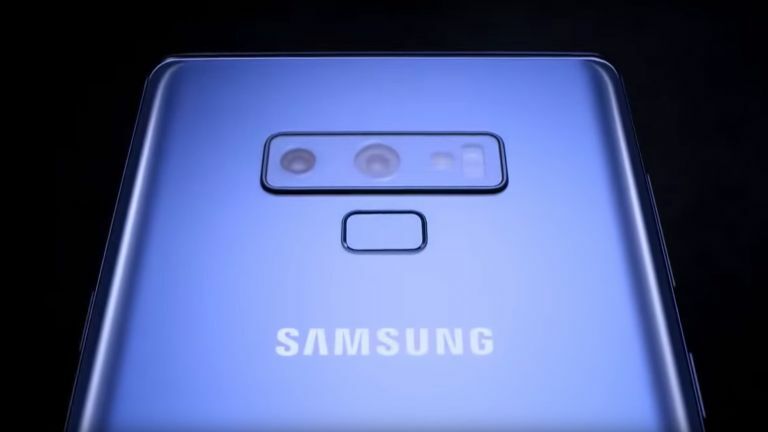 The new rear camera set-up features two 12MP sensors with a wide-angle lens supporting F1.5 and F2.4 aperture modes, and Samsung says that: "New revolutionary features make it nearly impossible to take a bad shot." How this works, says Samsung, is that "The Galaxy Note 9 intelligently recognises what you're looking at, optimizing color settings like contrast, white balance, exposure and more." Additionally, the camera app will detect blinks or blurring, giving the phone user the option to quickly retake the shot. We also know from the official Note 9 specs which were recently seen on the handset's packaging that there will be an 8MP snapper on the front. Both front and rear cameras will be controllable with the new upgraded Note 9 S Pen. Check out the Galaxy Unpacked live stream later today where no doubt we'll see the camera in action.